Bloomsbury USA Childrens, 9781619637238, 64pp. 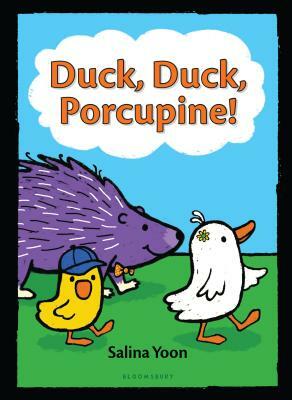 Meet Big Duck, Little Duck, and Porcupine, stars of the Geisel Honor-winning early reader series perfect for fans of Elephant & Piggie and Ballet Cat. Moving into an exciting new paper over board reader format, Salina Yoon's early readers are perfect for fans of bestselling series like Elephant & Piggie and Ballet Cat, giving all her picture book fans a fantastic next step for reading fun. Don't miss these other stories by Salina Yoon!